The Little Mermaid isn't small. She's life-size. Much like city she calls home, and that is the key word for everything here in Copenhagen. Greatest thing about this city is motion. It is never ending flow of happy people heading from A to B. In the 1960's this city was as car centric as any other city. Visionary decisions were made and now we can see the result of constant fight for life-sized city. City that is made for people, for its citizens. The vast network of safe, segregated bike lanes criss-crossing the city has encouraged people to use their bicycle. Everything starts with infrastructure. Build safe, reliable and connected infrastructure - more cyclists will come. 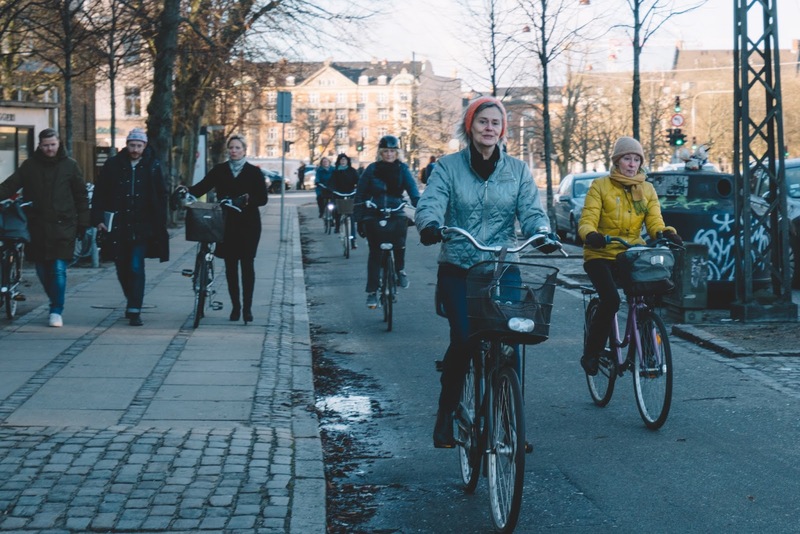 Image above proves the liveliness of this city, the human scale that Copenhagen stands for. To Cycle Chic in this city is so easy. It just comes naturally. And don't forget to follow us in Instagram @cycle.chic.republic for more daily updates.